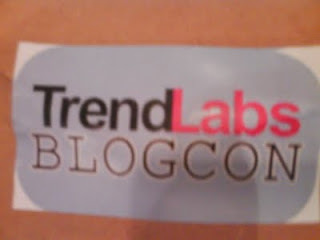 I want to congratulate Jeffrey from winning the TrendLabs BlogCon's "Blog This Event!" contest. Mapanuri is one of the three entries from our department and it's a pride the winner came from us. After other department won prizes such as Skull Candy head phones, PHP 500 SM G.C. 's, and a 1TB hard drive, it's a good thing we had the grandest prize of them all. Hopefully after this, we will see more posts when we visit Mapanuri in the future. This will be a pressure to you. He! He! He!